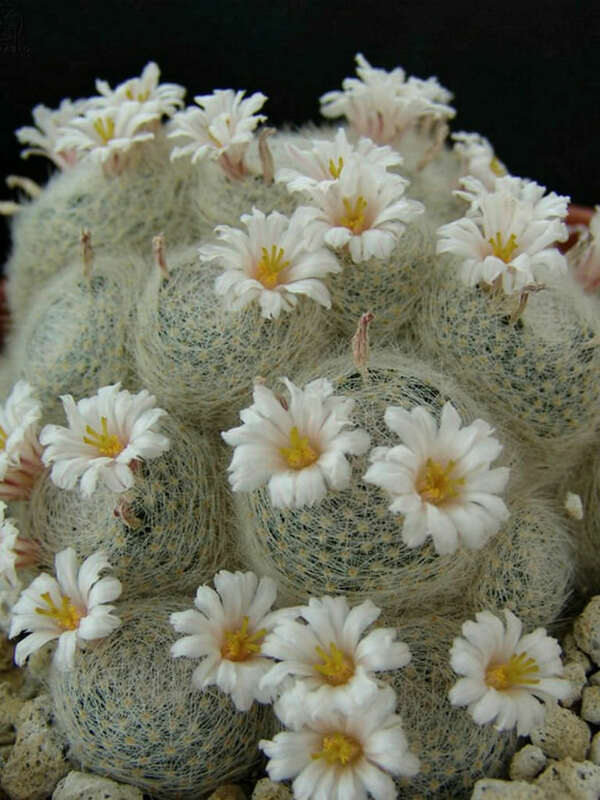 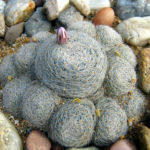 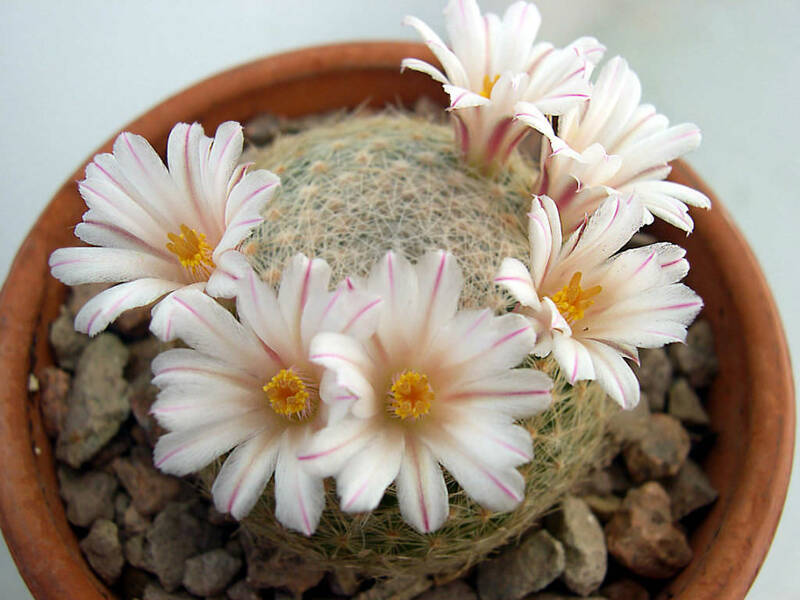 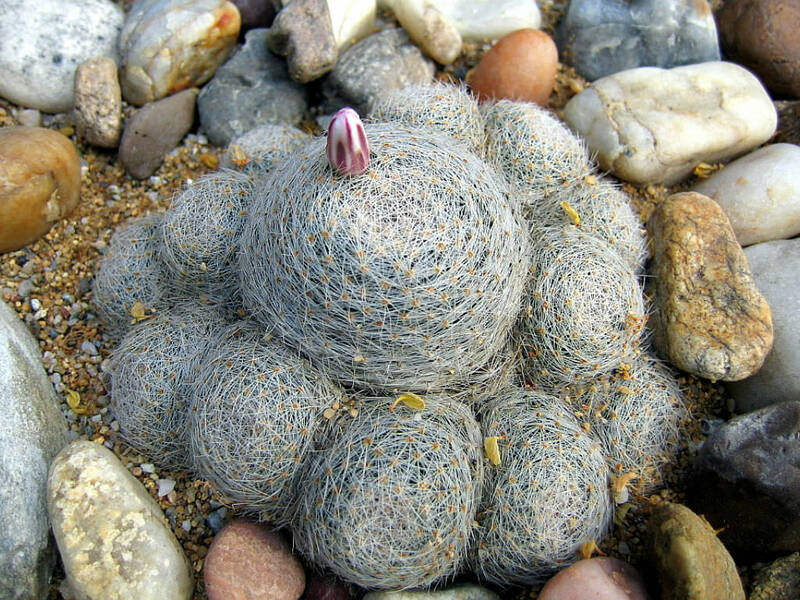 Mammillaria lenta is a slow growing cactus, branching form the base to form quite large, flat-topped mounds. 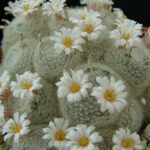 The stems are bright green to yellow green, up to 4 inches (10 cm) in diameter, up to 1.2 inches (3 cm) cm tall and almost hidden by the white delicate spines. 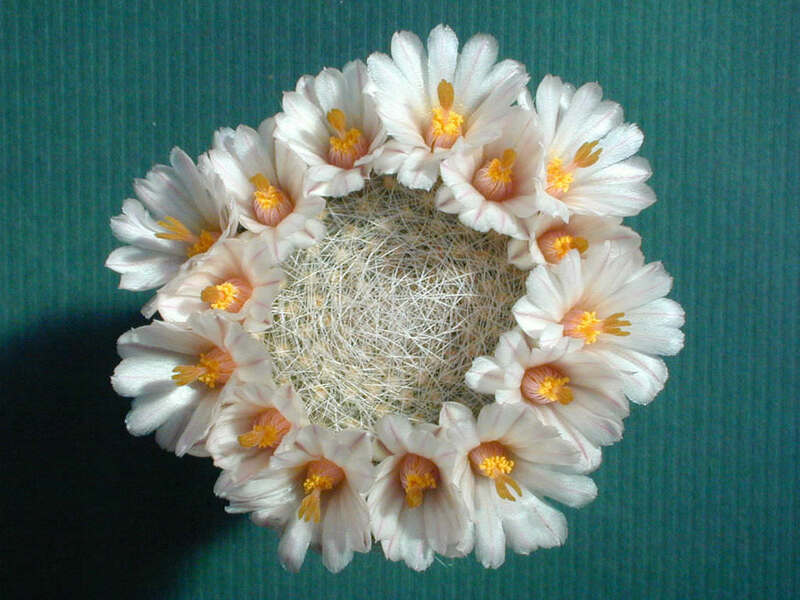 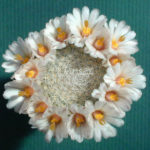 The flowers are pure white with a purplish-pink stripe, up to 0.8 inch (2 cm) long and 1 inch (2.5 cm) in diameter.